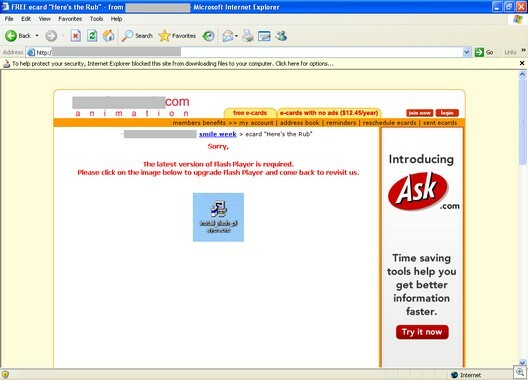 Subject: You’ve got an “e-card” at .greeting-cards.com..
“Here’s the Rub” from ‘greeting-cards’ ! print or save the “e-card” as soon as possible. Hope you enjoy our “e-cards”! Spread the love and send one of our “e-cards”! Brought to you by ‘greeting cards’ – a better way to greet! If you happen to click on “Click_here_to_view_the_e-card, you’ll get sent to this site below (made to look like a legitimate greeting card site, but using stolen graphics), which tells you that your flash player is outdated. If you install this fake flash player, you get two Haxdoor variants — really nasty stuff. 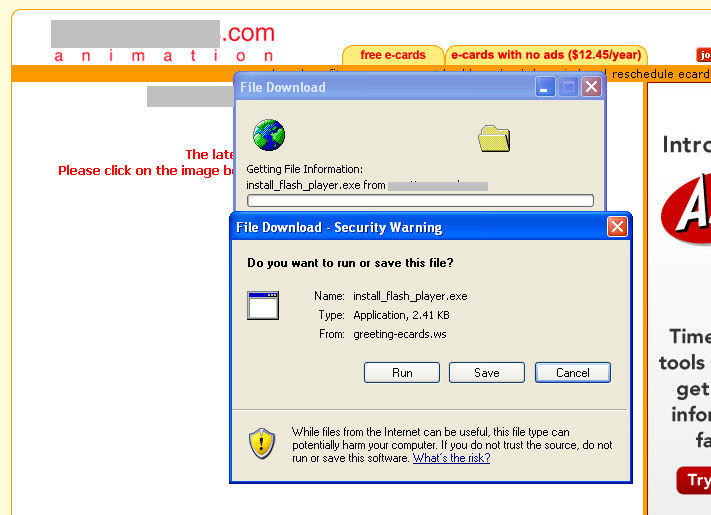 We were able to access the website where the malware author is counting the installs done using this scam, and we see about 2,500 installs so far on this. Maybe not a large number, but that’s 2,500 users who may be facing a very unpleasant time.